Gain insight into Nepal’s religions in a fun and active way on this small-group day trip from Kathmandu. Take local transport to Budhanilkantha, the holy site of the sleeping Hindu god Vishnu, and then enjoy a moderate hike with your guide through the woodlands of Shivapuri National Park to Nagi Gompa, a hilltop Buddhist monastery where panoramic views of the Kathmandu valley abound. Finish with a stop at a local bazaar in Sundarijal before heading back to Kathmandu. Catch stunning panoramic views of Mt Everest on this 5-day tour, including four days trekking through the Himalayan region. You’ll stay at teahouses in the village of Phakding, as well as the market town of Namche Bazaar and the small settlement of Monjo. Don your daypack and get ready to cross fast-flowing rivers, climb to the highest hotel in the world and take in close-up views of the majestic Himalayas! This small-group tour operates with a maximum of 12 people, ensuring you’ll receive personal attention from your expert local guide. 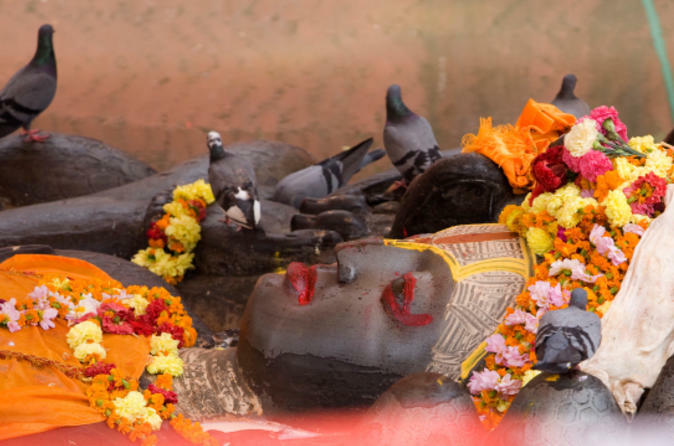 Immerse yourself in Kathmandu’s spiritual traditions during visits to the Hindu temple Pashupatinath and the Tibetan Buddhist stupa Bodhnath, both UNESCO World Heritage Sites. Accompanied by your expert guide, witness daily rituals at the two holy sites and learn about Hindu and Buddhist traditions. Want to feel even more enlightened? A famous Nepali astrologer can give you an astrological reading! This tour operates with a maximum of 12 people to ensure you enjoy a small-group experience in Nepal’s capital. Discover Kathmandu like a local as you explore the city on an evening rickshaw ride. Start in the colorful tourist hub of Thamel and pass buzzing bazaars and market squares as you head to Durbar Square, where you'll spend time exploring by foot. Sit back, relax and be enchanted as you take in views of the sunset, silhouetted temples and Kathmandu’s lively nightlife. Kathmandu day tour Includes - Kathmandu Durbar Squire, Swayambhunath, Pasupatinath and Bouddhanath are included on this day tour. Embark on a 4-day adventure through the gorgeous countryside surrounding Kathmandu, including three days trekking with a daypack from Shivapuri National Park to the medieval village of Bhaktapur. You’ll watch magnificent sunrises, visit small towns and ancient temples, and take in breathtaking views of the vast Himalayas along the way. Get an intimate look at Nepali life while staying at simple, yet comfortable, teahouses. This small-group hiking tour operates with a maximum of 12 people, ensuring you’ll receive personal attention from your expert local guide. Hop on a mountain bike and follow your guide to the tranquil outskirts of Kathmandu on this half-day bike tour! Discover the history and charm of the ancient Nepalese villages of Chobar and Kirtipur as you wind through narrow streets lined with stone buildings. Bike along scenic roads with breathtaking views of the Himalayas and get acquainted with local Newari culture. Numbers are limited to 12 on this small-group bike tour, ensuring you'll enjoy personalized attention from your guide. Experience Kathmandu like a local on this small-group cultural walking tour. 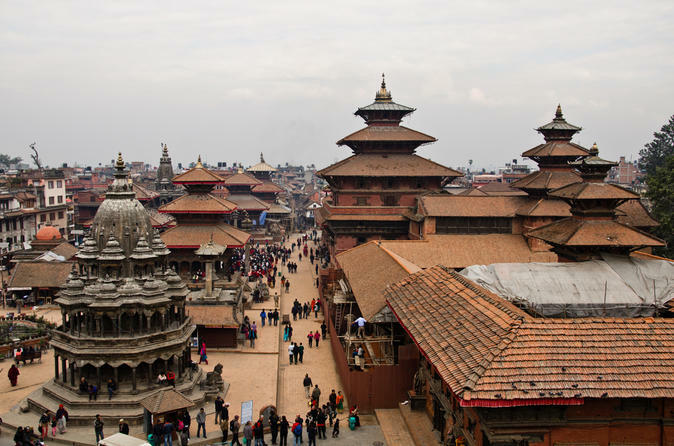 Visit the oldest Buddhist stupa in Nepal, Swayambhunath, and explore one of the oldest parts of the city, Durbar Square, where you’ll browse local markets and centuries-old temples and courtyards. Purchase your own choice of vegetables (own expense) and head to a local family’s home to prepare a traditional Nepalese lunch. You'll learn all about local life in Kathmandu as you chat with the family with the help of your knowledgeable guide. 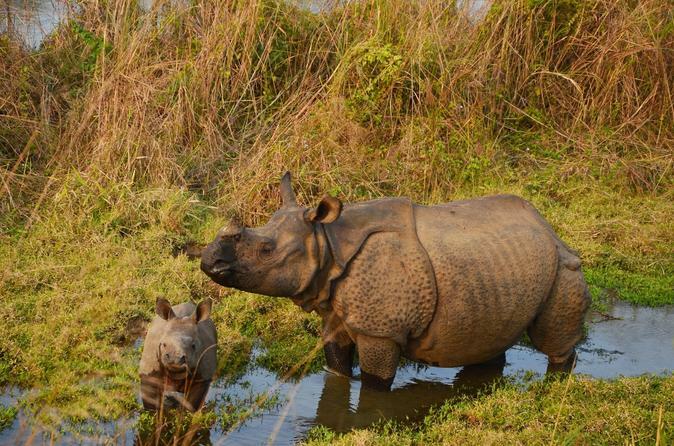 Go on safari to the UNESCO World Heritage-listed Chitwan National Park, a former royal hunting reserve that became Nepal’s first national park in 1973. 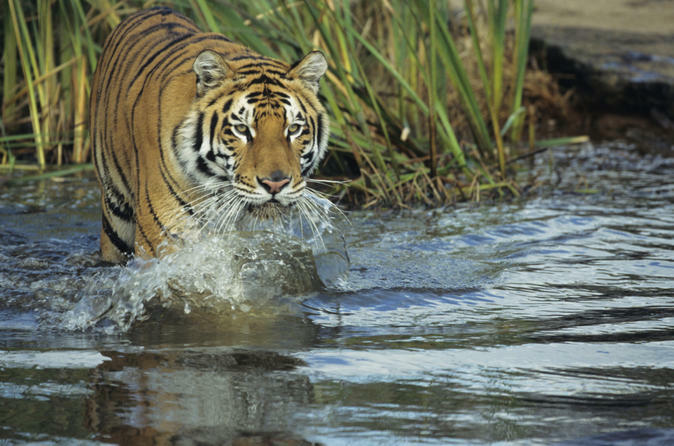 Recognized as one of Asia’s most valuable ecosystems, the jungle, marshland and grasslands teem with the incredible wildlife of more than 400 species. With guided tours by jeep, canoe and on foot, you’ll encounter an enchanting world of rhinos, crocodiles, sloths and – fingers crossed – Bengal tigers! Receive personal attention from your guide on this small-group tour, limited to 12 people. 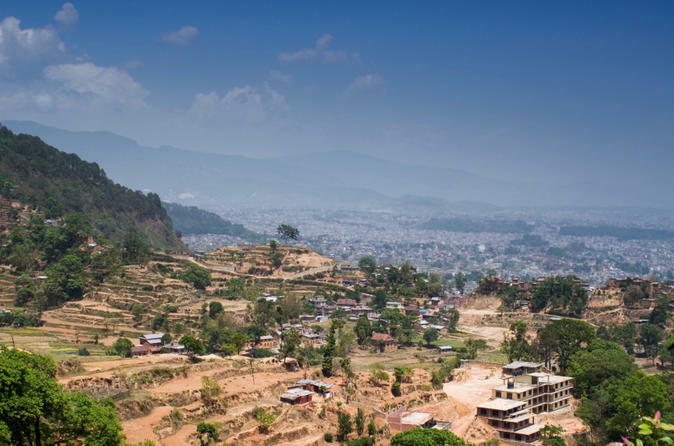 On this half day tour from Kathmandu, enjoy the city of Bhaktapur and the village of Nagarkot. 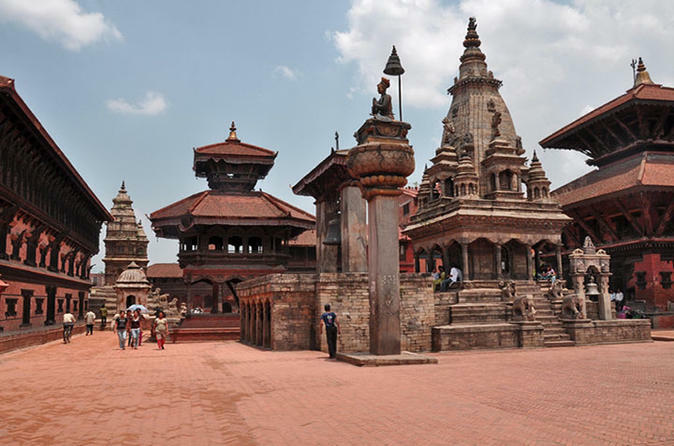 Bhaktapur Durbar Square, located 15 km from Kathmandu, is a museum of medieval art and architecture with many examples of sculptures, woodcarvings and colossal pagoda temples consecrated to different gods and goddesses. Nagarkot, a village located 32 km east of Kathmandu, is considered one of the most scenic spots in Bhaktapur District and is known for its sunrise and sunset views of the Himalayas. 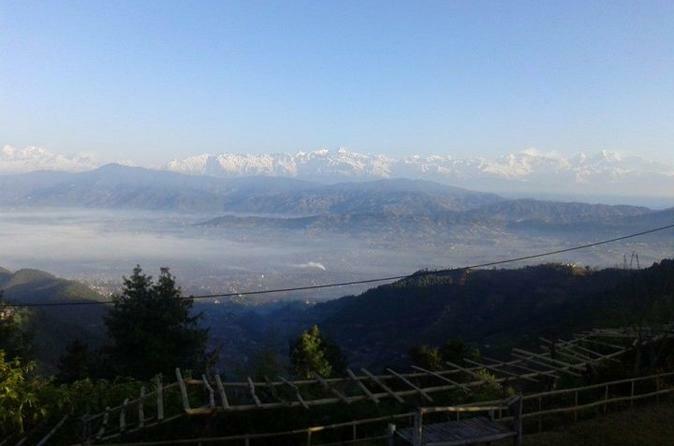 Nagarkot also offers a panoramic view of the Kathmandu Valley. 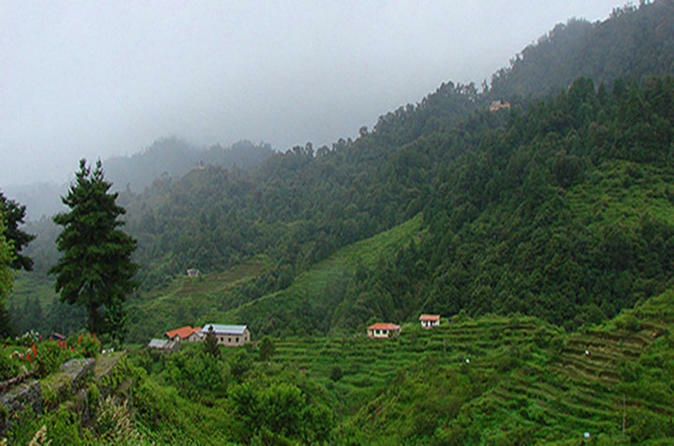 The scenic beauty of this place located 7000 ft above sea level makes it a very popular hiking route for tourists. 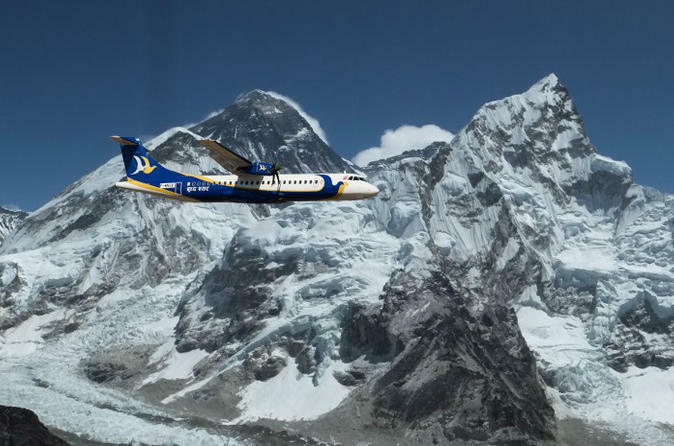 Soar to the top of the world on a scenic flight over the Himalayas, including outstanding aerial views of towering Mt Everest. Take off from Kathmandu in the early morning and catch breathtaking sights of the world’s largest mountain range from above. Settle into your 18-seater plane for prime viewing and pilot narration during your 1-hour flight, which showcases more than a dozen snow-covered peaks. Round-trip transport between your hotel and the airport is included. Hiking to the Ranikot is suitable for beginners. The hike starts from the Suryabinayak Temple of Bhaktapur district is short one which can be covered within 4-5 hrs pleasant walking. This trail offers the great panoramic view of Himalayas and bird eyes view of whole Kathmandu Valley as well as the historic sites and renowned temples. In a very short distance, one can get a chance to see and differentiate the lifestyle of the urban city and rural village. The pleasant and calm environment of Ranikot heartily welcomes peace and nature lovers. On this small-group trek, hike to Nagarkot, situated 32 km east of Kathmandu at an elevation about 1950 meters above the sea level and one of the most popular destinations for adventure enthusiasts. This route passes through small villages and farmlands with great views of the Himalayan ranges including Lantang Himal (7246m), Dorje Lakpa, Ganesh Himal, Sisapanma ( 8013m), Manaslu (8162m), Gaurishanker (7145m) and Mt Everest (8848m), the highest peak in the world. This is an exotic marvelous spot in the Kathmandu valley to go trekking and gives a great perception of what trekking is like in the highlands region. 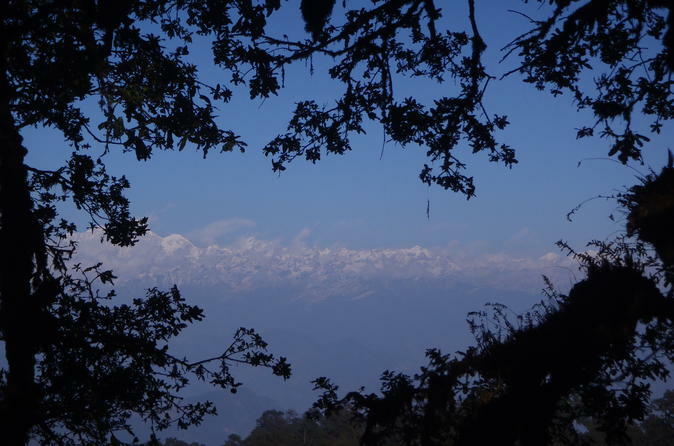 Enjoy great Himalayan view to the north east including Mt. 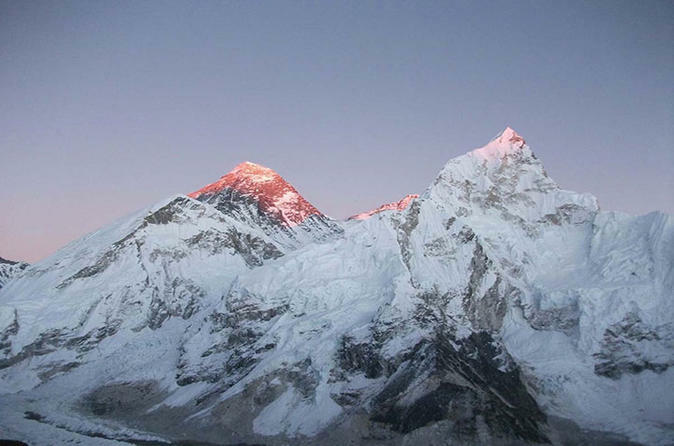 Everest, visit UNESCO World Heritege Site (Bhaktapur and Changu Narayan Temple) Nagarkot 2100m high hill east from Kathmandu, is one of the popular destinations to see The sunrise, Majestic Himalayan view. On a clear day, Himalayan peak including Mt. 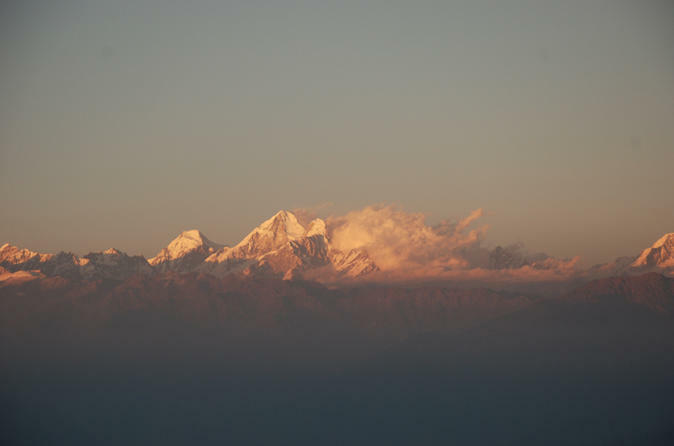 Everest, Sishapangma, Langtang Lirung, Dorje Lakpa and many other peaks can be seen. 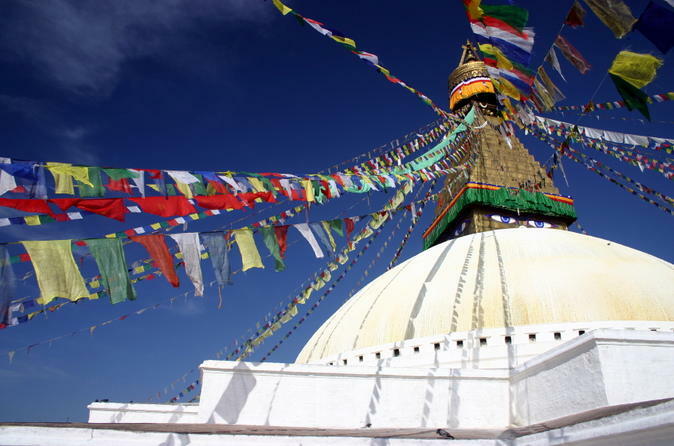 Enjoy this multi-day tour beginning in the capital city of Kathmandu. 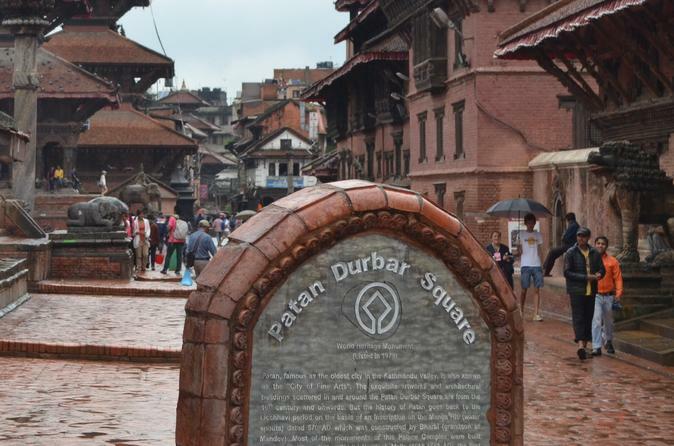 After exploring the ancient Pashupatinath Temple, Boudhanath Stupa, Swyambhunath and Kathmandu Durbar Square, you will travel to Patan, the ‘city of the arts’. Then you will visit the ‘cultural city’ of Bhaktapur in the Kathmandu Valley, and Nagarkot, which offers spectacular view of the Himalayas. 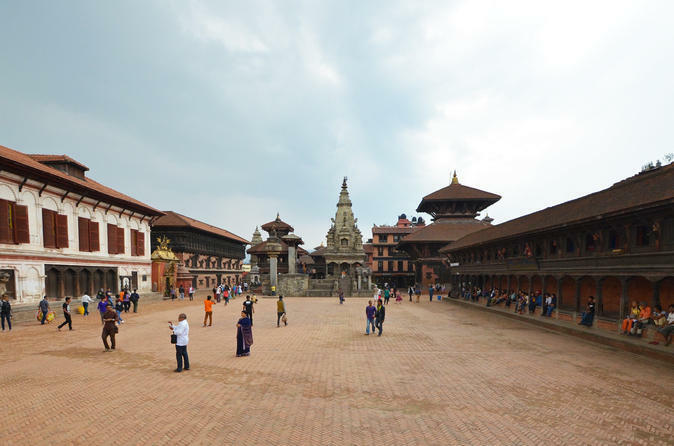 Bhaktapur city is one of the ancient Royal cities inside the Kathmandu Valley. 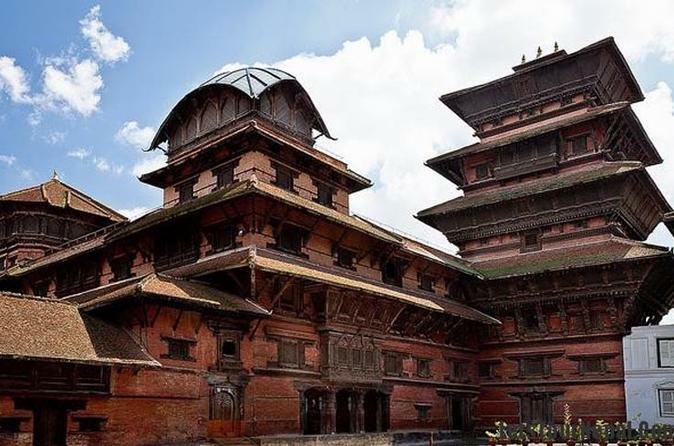 Enjoy a 4-hour half-day private sightseeing tour of Bhaktapur where you will visit the area in and around Durbar Square, a UNESCO World Heritage site. With your professional guide, explore local Newari lifestyle, culture and architecture of the ancient era. 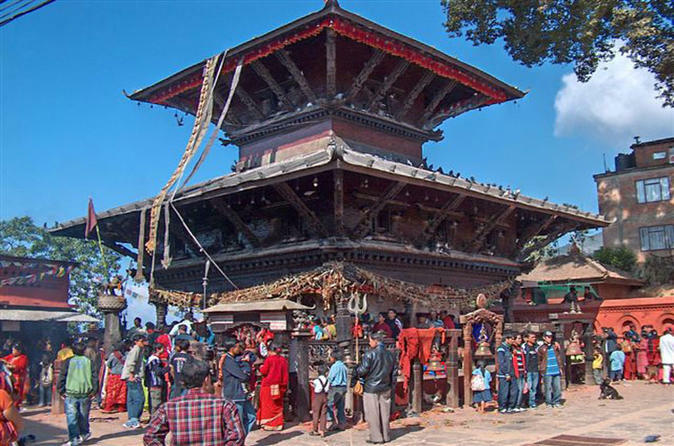 Your guide will also explain why Bhaktapur city is also known as the City of Devotees. A private air-conditioned vehicle and entrance fees to monuments are included. Get enthralled by the cultural tour of UNESCO listed world heritages sites. Behold the brilliance of architecture of the ancient era in a small-group tour around the Kathmandu city. 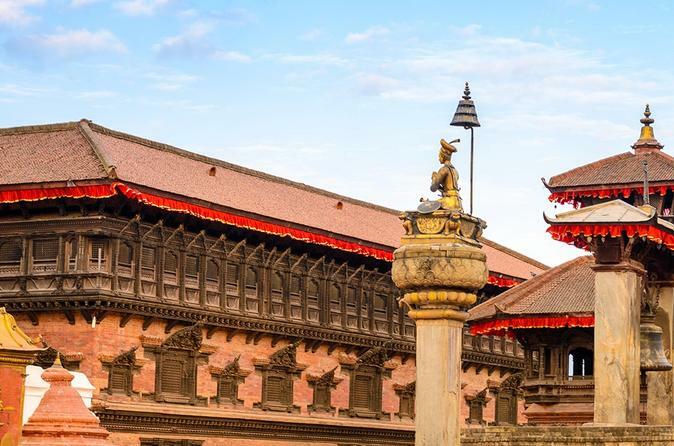 Walk around Kathmandu Durbar Square to observe the craftsmanship on the temples, palaces that is sure to draw you back to the old royal regime in Nepal. 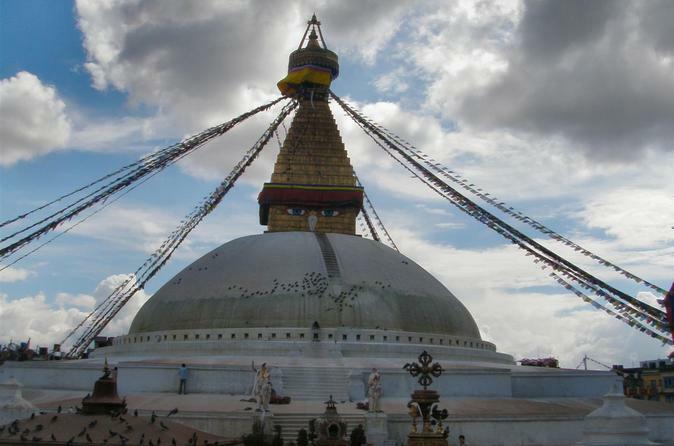 Strolling around the monkey-temple, Swayambhunath stupa and Boudhanath gives an eternal peace message of Lord Buddha. Explore the sacred Pashupatinath temple, of Lord Shiva, that lies on the bank of holy Bagmati River. 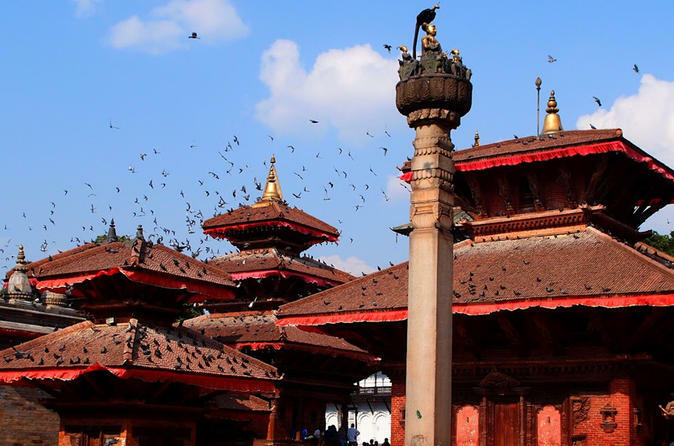 Explore the all the major attraction of Kathmandu Valley, on a Private, full-day tour. Enjoy visits to city squares and magnificent temples and take in outstanding panoramic views of mountains and cityscape. 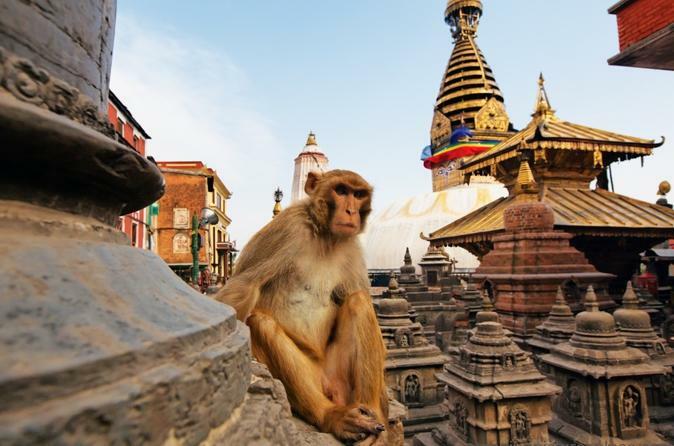 Experience a simpler life on this full-day tour as you meet locals and get busy exploring three UNESCO heritage sites, Swayambhunath/Monkey Temple, Pashupatinath Temple, Boudhanath Stupa, Bhaktapur Durbar Square. Love royal palaces? How about exotic temples? 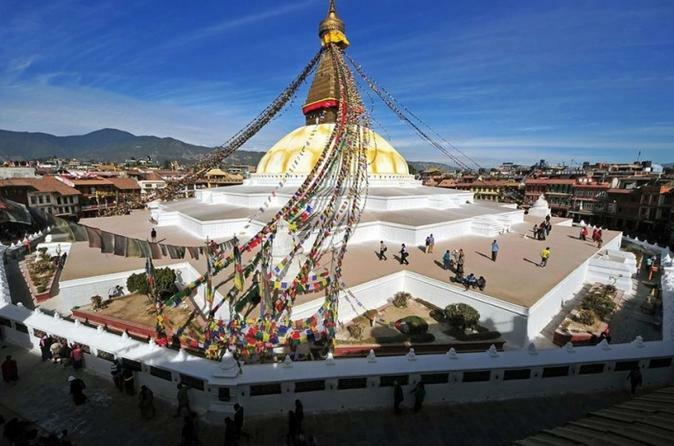 Then this is the perfect day excursion to see some of the finest of the ancient royal palaces of the Kathmandu Valley. The small group adventure beings with the incredible city of Bhaktapur with its many temples, religious squares and the royal palace. Then it is on to the city of Patan's Durbar Square which features some incredible architecture. Here enjoy the Museum with its world class collection of Newari art. The trip includes private car, guide and all entry fees. On this day trip, visit the holy Temple of the Goddess Manakamana which lies on a beautiful ridge west of Kathmandu valley. Manakamana is linked with a cable car from the highway which can be reached in 10 minutes from the highway. Explore the area alongside a knowledgeable local guide and make the best of this day tour from Kathmandu. This 3-day trip to Dhampus Hill offers you an opportunity to embark on some short yet incredibly rewarding treks in Nepal. The treks themselves will take you through sparse villages, farm terraces and a short stretch of woods on the beautiful Dhampus Hill. 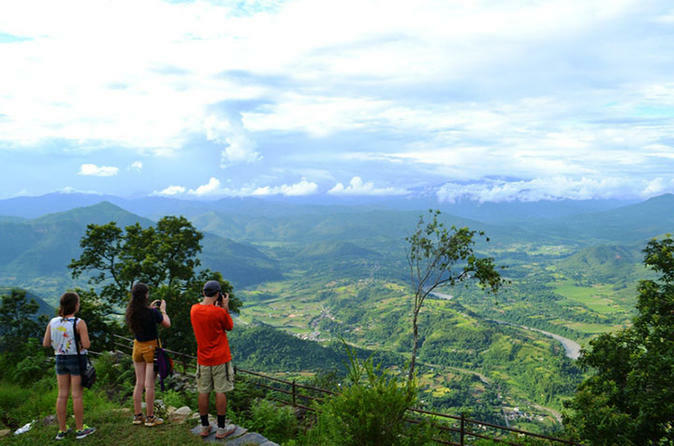 From Dhampus Hill, you will come face to face with spectacular views of the surrounding Himalayan maintain range, as well as some breathtaking sunrises and sunsets at Sarankot. In addition to being a stunning mountain viewpoint, Dhampus is also an ethnic Gurung village, and this trip will give you an opportunity to observe the daily lives of villagers. 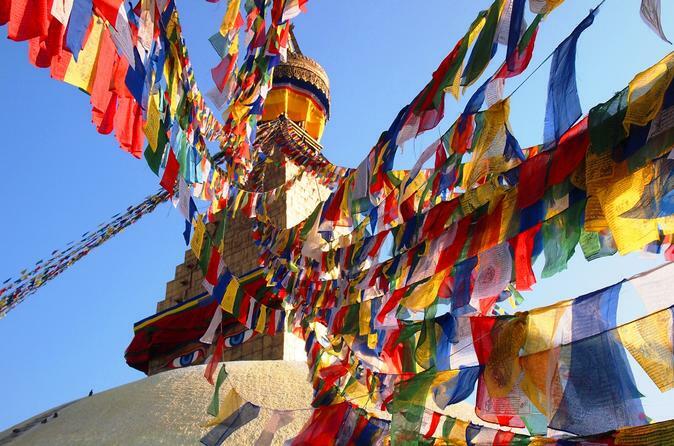 This private tour shows you the highlights of Nepal's bustling capital, Kathmandu. From the famous monkey temple to the Tibetan Quarter. Immerse yourself and experience the rich architectural and cultural diversity in a nutshell. Experience Kathmandu's culture though its cuisine on this rickshaw ride tour with a friendly and knowledgeable guide. Join the locals as you explore the busy streets of the Thamel area, stopping at several shops to indulge in shopping. Complete your local experience with a fun rickshaw ride! Enjoy this 6-hour day trip to Bhaktapur and Panauti. 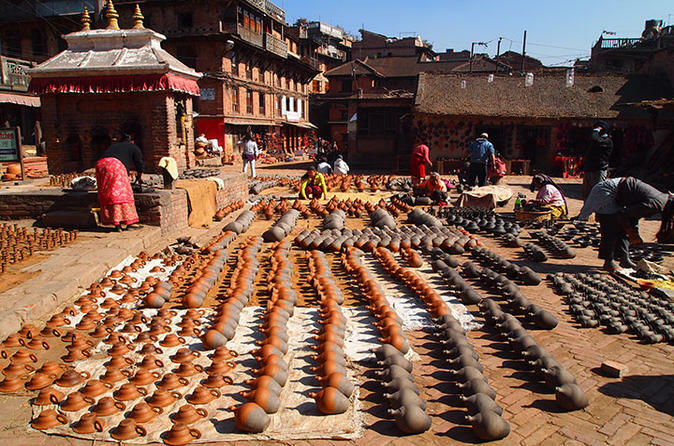 The UNESCO-protected Bhaktapur city is a great example of arts and crafts dating to the medieval age. On the other hand Panauti will offer you a great chance to admire not only the architecture, but also wonders of nature. Enjoy a day rafting on the the Trishuli river on this full day river rafting trip from Kathmandu. For the most of the year, the rapids encountered on the Trisuli are straightforward, easily negotiated and well spaced out. It is an excellent river for those looking for a short river trip with some exciting, but not too challenging, rapids. In addition, the river is surrounded by beautiful scenery and a relatively peaceful environment. 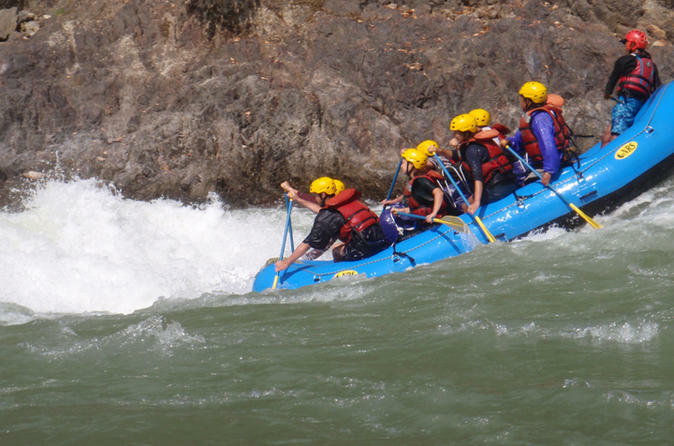 During the monsoon months the intensity of the rapids increases and attracts a radically different set of rafters, but there are sections for rafting during the monsoon months for those who are looking for a simple, yet exciting trip. On this 5-hour guided tour you'll visit Taleju Temple, the tallest temples of Powerful Goddess, Lord Krishna Temple, Living Goddess Temple and Kasthamandap which was build with a wood from a single tree in 12the century and Swayambhunath Stupa, also known as the Monkey Temple. 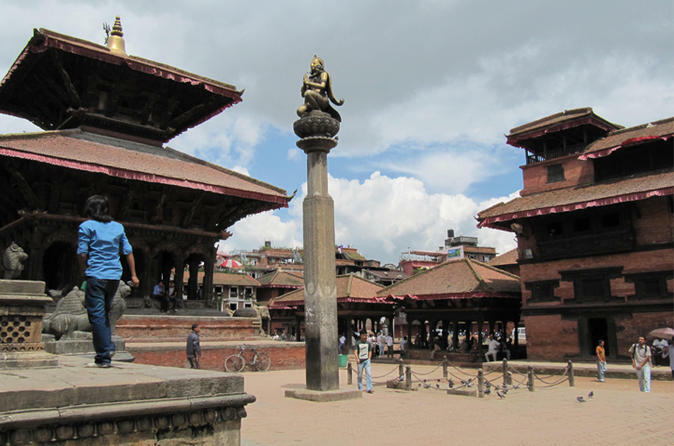 Day tour of the Kathmandu City with visits to major UNESCO World Heritage Sites. The tour goes to Kathmandu Durbar Square, Swoyambhunath – Monkey Temple, Pashupatinath and Boudhanath. 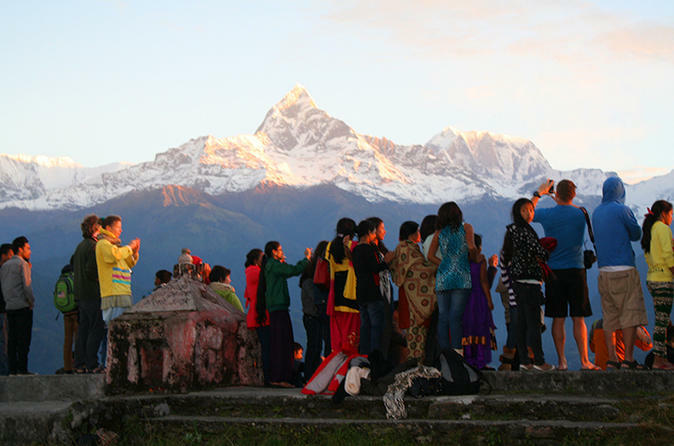 Get mesmerized by Nepal’s religious, historical landmarks and witness the country’s amazing culture and traditions. This 4 days of jungle safari starts either from Kathmandu or Pokhara. 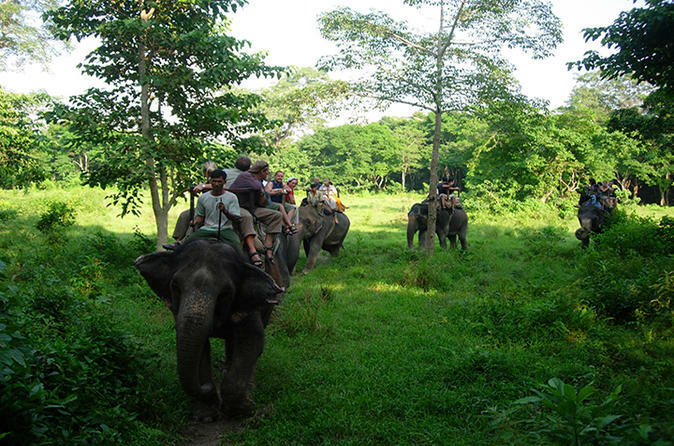 It visits one of the popular tourist destinations, Chitwan National Park. The park is declared as UNESCO World Heritage Site and located in lowland of the ‘Terai’ plains of Nepal. It shelters 50 species of flora and 700 species of wild fauna. Elephant safari, jeep drive, jungle walks, bird watching and visiting the Tharu village are the main activities to spot wildlife and know the local culture during the safari program. 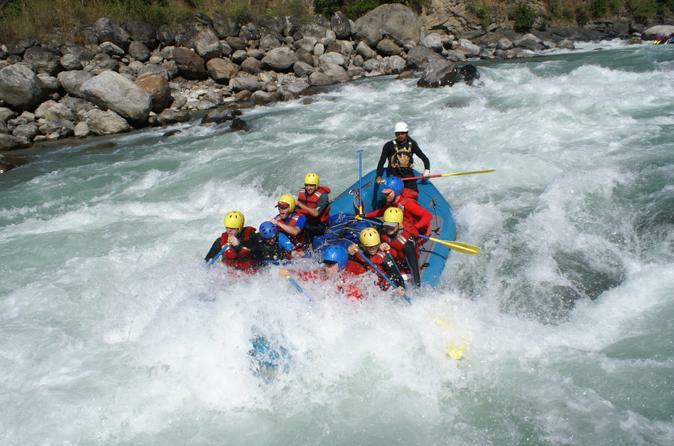 On this tour, you will enjoy whitewater rapids and incredible scenery while rafting down a Himalayan river. The Trishuli River is the most popular rafting river in Nepal, and there is nothing quite like the thrill and challenge of navigating it's twists and turns. This tour includes hotel pickup and drop-off as well as a lunch. Enjoy this 15-night trekking tour in the Everest region - if you are a lover of high places and those wanting to push yourself to the limit. It is a tough challenge and not to be taken lightly with generally well-graded paths but some tougher sections along the Khumbu glacier. You will however be able to enjoy mountain peaks and the loyalty and friendliness of Sherpas and experience the Everest region (Khumbu) - one of the most popular destinations in Nepal. While many of the routes through the mountains are arduous, there are ample places to rest and enjoy a meal along the way. 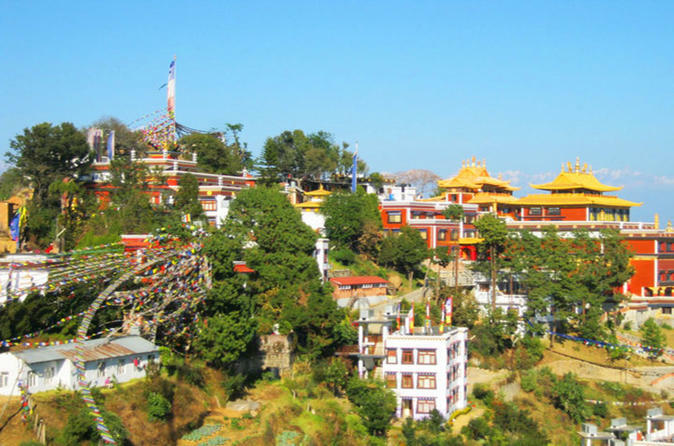 Enjoy a hike up to Namo Buddha, a beautiful point situated at an elevation of 1750m in the Kavre district. It is a very important Buddhist pilgrimage site which lies about 38 kilometers east of Kathmandu. The stupa and shrines built in this lovely little hill mark a very ancient holy site which signifies the place where a legendary prince named Mahasattva offered himself to a starving tigress with several underfed cubs. This legendary episode is depicted in a very nice stone slab which is right next to a holy stupa. This trip offers mountain views, sunrise at Nagarkot as well as the most interesting of the UNESCO World Heritage Sites: Changu Narayan. The trip includes private vehicle, private guide and entrance fees. Meals are not included. This trip offers a fantastic combination of scenery, culture and heritage. The trek is easy and enjoyable as it is mostly downhill. 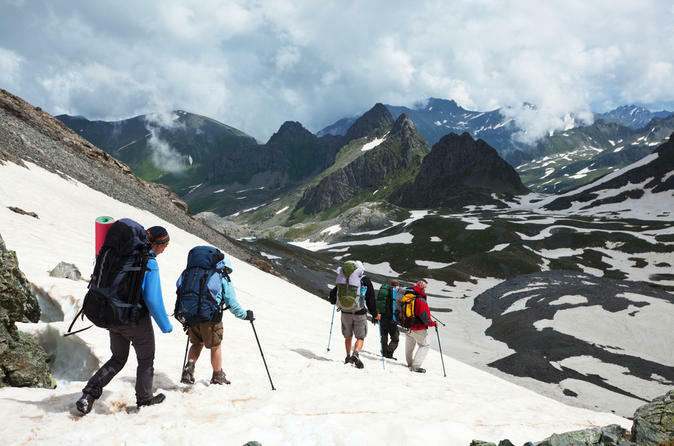 It is ideal for beginning trekkers who want to try a day hike as well as to enjoy the local heritage. 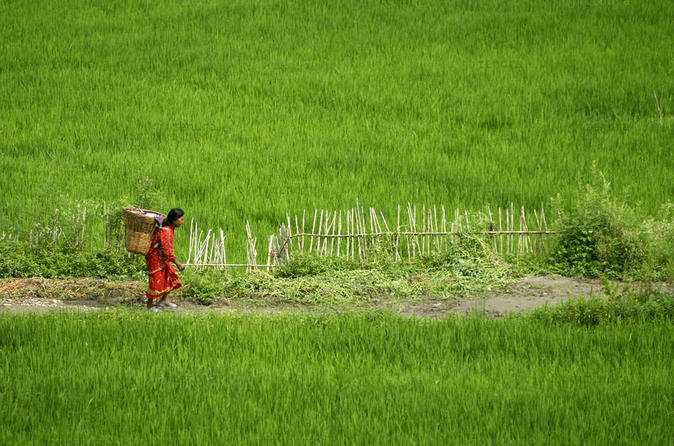 Explore twin villages of Bungamati and Khokana located near Kathmandu to see village life style, traditions and culture. 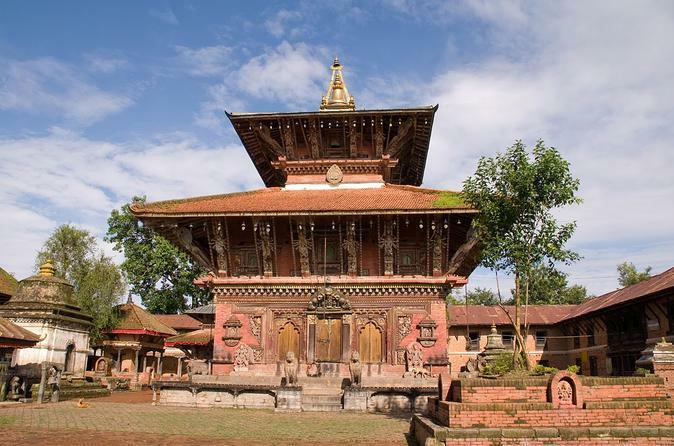 Bungamati is home of Machhendranath which is considered as the patron god of Patan. The local people mostly engage on traditional wood carving and sculptors. Khokana is a small Newari village next to Bungamati. Khokana is also known as village of farmers and most of the homes and windows are decorated with chili, garlic and onion garlands. Visit Khokana to witness life inside a typical Nepalese rural village. On this 3-day tour from Kathmandu, visit one of Nepal's most popular tourist destinations, Chitwan National Park. The park, located in the lowland of the Inner Terai Region, is a UNESCO World Heritage Site and is the habitat for 50 species of flora and 700 species of wild fauna. Every year it is visited by a large number of domestic and foreign tourists who want to experience wildlife and jungle activities like elephant safaris, Jeep safaris, bird watching, canoe riding, learning about Tharu culture and more. The park has the easiest accessibility among the other national parks in Nepal. Depart from Kathmandu and make your way to Shivapuri National Park. 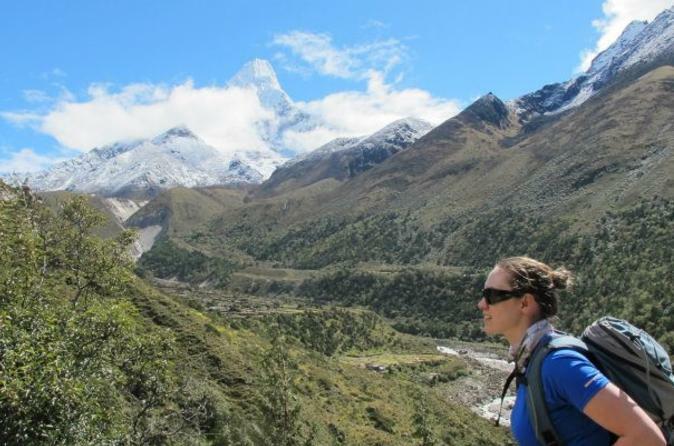 Spend a full day hiking as you climb the peak of Shivapuri. Once at the top, gaze down upon Kathmandu Valley, admire the view of the Langtang Himalayan Mountains, and enjoy lunch. Discover the natural beauty of the Shivapuri National Park on this 8-hour hiking tour. Accompanied by a local guide and small group of no more than 17, see Budhanilkantha, Tokha, and Hattigauda. Enjoy the provided lunch along with round-trip hotel pickup and drop-off. 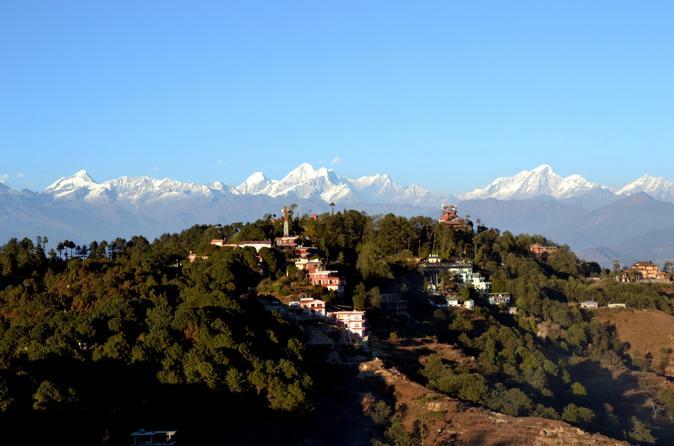 On this private day trip to Daman from Kathmandu, marvel at the breathtaking grandeur of the world’s highest peaks extending from Dhaulagiri in the west to Mount Everest in the east. Daman is surrounded by tropical forests and the middle hills of Nepal, and lies on the Mahabharat range. The Daman Village offers you to the chance to see Nepalese villagers' lifestyles and panoramic views of the surrounding mountains. Daman hiking is widely known for its incredible views of Himalayan peaks such as Mt Everest, Annapurna, Manaslu, Ganesh Himal, Langtang, Dorje Lhakpa, Gauri Shankar, Cho Oyu and more. On this tour, explore the Daman area, learn about the holy site of Guru Rimburje from a Monk, and take in the panoramic view from a view tower fitted with long range telescopes. In addition, you can enjoy colorful hills full of Rhododendrons, and orchids blooming along side of the highway during March and April. 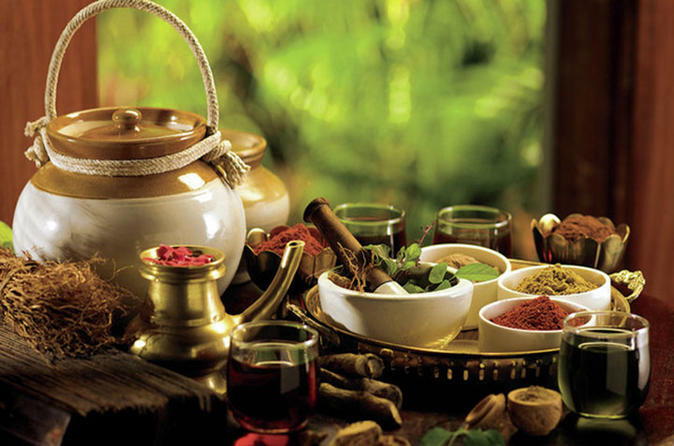 Ayurveda is a way of life for maintaining health and curing diseases through adherence to natural rhythms and cycles. It employs a variety of natural elements to bring harmony to the physiology including diet, herbs, spices, minerals, exercise, meditation, yoga, sounds, smells and mechano- procedures to eliminate toxic substances from the body. Ayurveda is the science that indicates the appropriate and inappropriate, happy and sorrowful conditions of living, auspicious or inauspicious for longevity and as well as the measure of life bitself. Vata, Pitta and Kapha (group of the three doshas), in their natural and undisturbed ststed, gives life to the body.